Seamless travel via Car Lane at Immigration - Passenger(s) stays in vehicle for the entire journey. No getting down or changing vehicle required. Driver will take the fastest route via Woodlands or Tuas depending on traffic conditions. 3 hrs with no traffic, or 4-5 hrs with traffic Singapore to / from Mersing. Private limo door-to-door service. 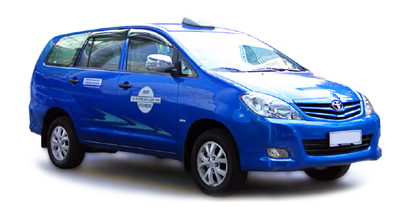 By law, Executive Taxi may only pick-up or drop off at Ban San Street Taxi Stand (Queen Street Bus Terminal) in Singapore. Inclusive of toll fees (ERP / Customs) charges. Complimentary 15 mins waiting time for pickup. 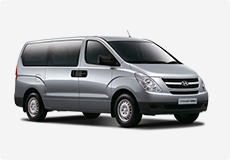 Arrival transfers enjoy up to 60 mins. Additional waiting surcharge of SGD 10 for every 10 mins applies thereafter, capped at 20 mins. An additional SGD 80 per hour is applicable for the driver to continue waiting after the initial 20 mins. Subject to driver's availability on the day of transfer. Fits 1 x medium suitcases & 1 x small hand luggage items per passenger for traveling with luggage. Driver will take you to / from the accommodation address you provide on STEP 1 of the booking process. Vehicle may be upgraded to one with greater capacity depending on availability. No extra fees for online booking & payment. Only available via online booking and payment. Available 24 hours daily including Public Holidays with bookings & payment made online 24 hours in advance. Please book 2-5 days in advance for long-distance trips to Malacca and beyond. This service is only available via online booking and payment. Bookings can be made online 24 hours in advance to guarantee a vehicle. Check availability. Call us if you need help with your booking. Cash bookings are not available for Singapore Malaysia Transfers. Booking received - An email notification of booking received and payment receipt will be sent immediately to email provided on booking completion. Please call us if you did not receive any. Booking confirmation - An email notification will be sent to email within 24 hrs for confirmations. Driver details - An email notification will be sent to email provided 12 hrs before the transfer with driver and vehicle details for the transfer. Receipt will be emailed to email address provided during PayPal checkout (Credit or Debit Card) on payment completion. Singapore to Malaysia - No visa is required for U.S.A. citizens and nationals of all ASEAN countries except Myanmar for a stay within one month. Learn more about VISA Requirements to Enter Malaysia. Malaysia to Singapore - Learn more about VISA Requirements to Enter Singapore. Driver will wait 20 mins, in case of any passport or visa issues at the customs. Passenger will have to let driver know to continue waiting after 20 mins, or passenger would like to return to pick-up point. An additional SGD 80 per hour is applicable for the driver to continue waiting after the initial 20 mins. 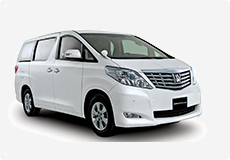 Arrival transfer enjoys complimentary waiting time of up to 60 mins from confirm flight landing time, which allows sufficient time for you to clear customs, pick-up your luggage and meet driver in the arrival hall. A waiting surcharge of $10 per 10 mins block will commence after the initial 60 mins. Please call or sms driver if you need him to continue waiting after 60 mins. Driver will be holding a signage with your name to meet you at the exit of the luggage belt for your flight in the arrival hall. Please call or sms driver if you have difficulties locating him. 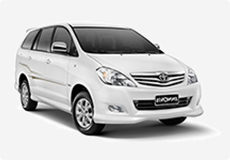 Car child seat - Unavailable for Singapore to Malaysia transfers. Please bring one if you need it. Wheelchair (folding type only) - Free of charge, please make sure the vehicle you have selected is large enough to accommodate them. If in any doubt, please select a larger vehicle. Disabled passengers must be able to board the vehicle independently or with the assistance of those in their party. Wheelchair ramp unavailable for Singapore to Malaysia transfers. Bicycle - Free of charge, please make sure the vehicle you have selected is large enough to accommodate them. If in any doubt, please select a larger vehicle. Thousands of Singaporeans and Malaysians cross the two Singapore-Malaysia border customs daily, especially between 4am to 8am and 4pm to 8pm for work. Be prepared for long queues and crowds during public holidays and school holidays, and even the start and end of working hours daily. 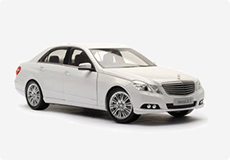 Enjoy the flexibility of Limousine Transport's on-demand limousine transfer service. It is the ideal choice for business or pleasure. Whatever your needs, our private limo door-to-door transfer service provides you an exclusive use of the Limousine Transport with a personal chauffeur for your journey. Booking can be confirmed with a credit card payment during reservation. Don't forget to book your return trip back! Important: Strictly no changes or refunds after booking for Singapore Malaysia Transfers. Please confirm your itinerary before making a booking. Reservation is only available online. Please book at least 24 hours in advance.